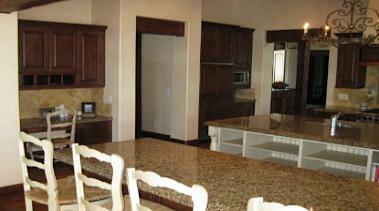 Creative Design Kitchen Tile and Custom Made Countertops. It's time to make your kitchen come alive with beautiful kitchen tile. There are so many ways to layout kitchen wall tile. You can have all the tiles matching or intersperse colored ceramic or other natural tiles at various intervals. You can also add one of our hand made decorative panels as seen in the above picture. 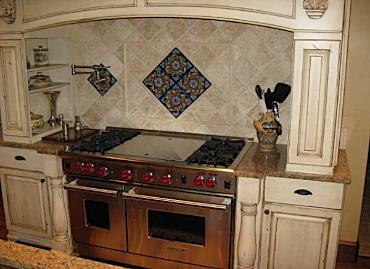 Be as creative as you want, use color, make your tile stand out, contrast and blend in with your kitchen cabinets. A kitchen that really gets used and for those that really love to cook and bake, you usually end up with drips and splatter so a back splash makes good sense. The back splash area is generally not very large so the expense is small compared to the visual impact you receive. Whether you use granite tile, ceramic, mosaic glass tile, metal tile interspersed with stone tile, it can all make a so-so kitchen and home look expensive and classy. 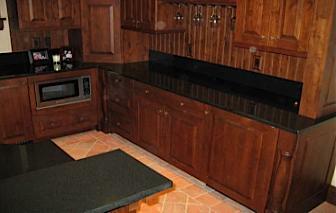 Granite counter tops are a great way to upgrade your kitchen. 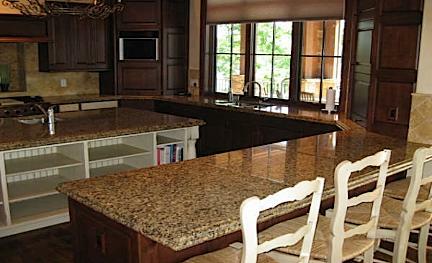 Granite's rich earthy colors, unique patterns and it's strength make it an ideal choice for kitchen counter tops. There are more choices for materials for kitchen counter tops today than ever before. 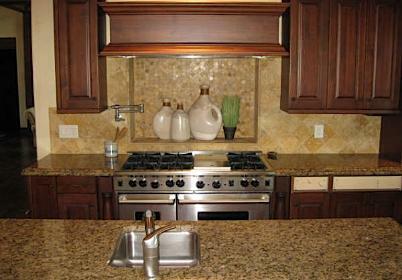 Granite is by far the most popular material and it is the material that others try to emulate. Kitchen islands are being incorporated into kitchen designs more and more because of their convenience and practicality. 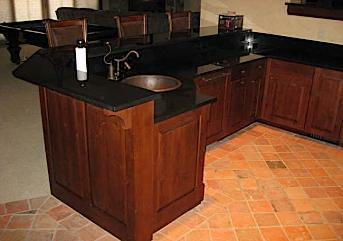 They can be very simple or more elaborate custom built with sinks and running water and electrical outlets. Don't forget about laundry room counter tops and floors and outdoor patio counter tops.